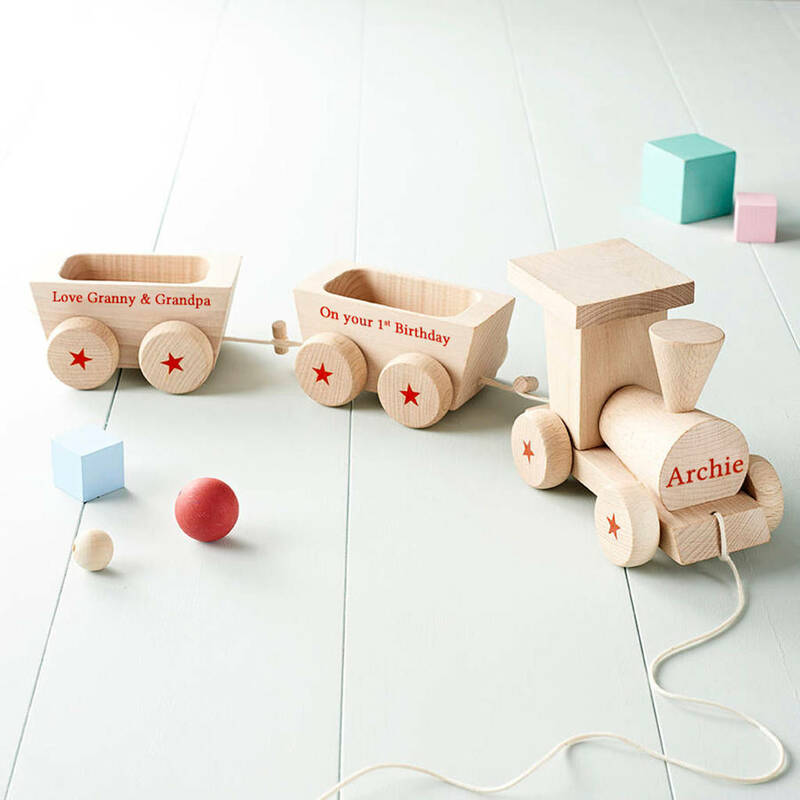 A Personalised Wooden Train Set that is perfect for a keepsake gift for any young child. 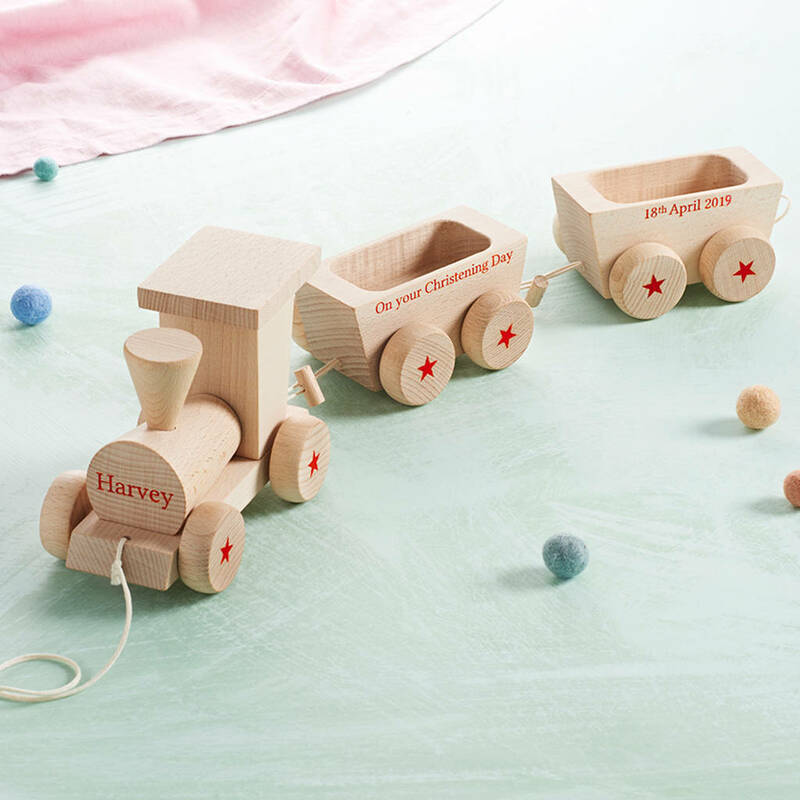 This Personalised Train is chunky and has your personalisation on each carriage and then the child's name on the front. 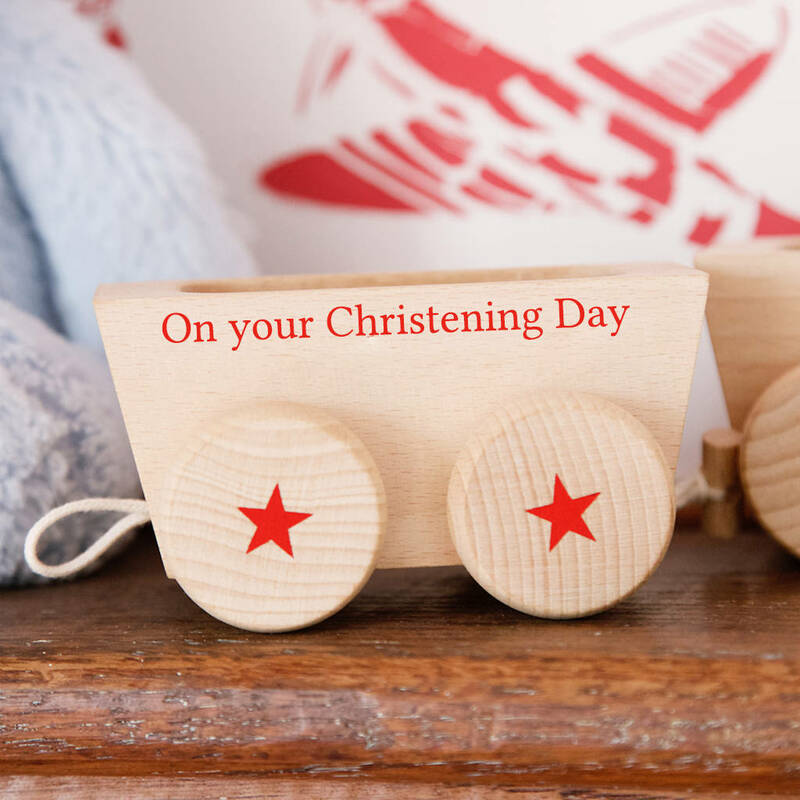 Choose your message for carriage 1, we have put 'On your Christening Day' and then choose your message or date for carriage 2. Maximum characters for the carriages is 23, and for the train the longer the name the smaller the writing will be painted. 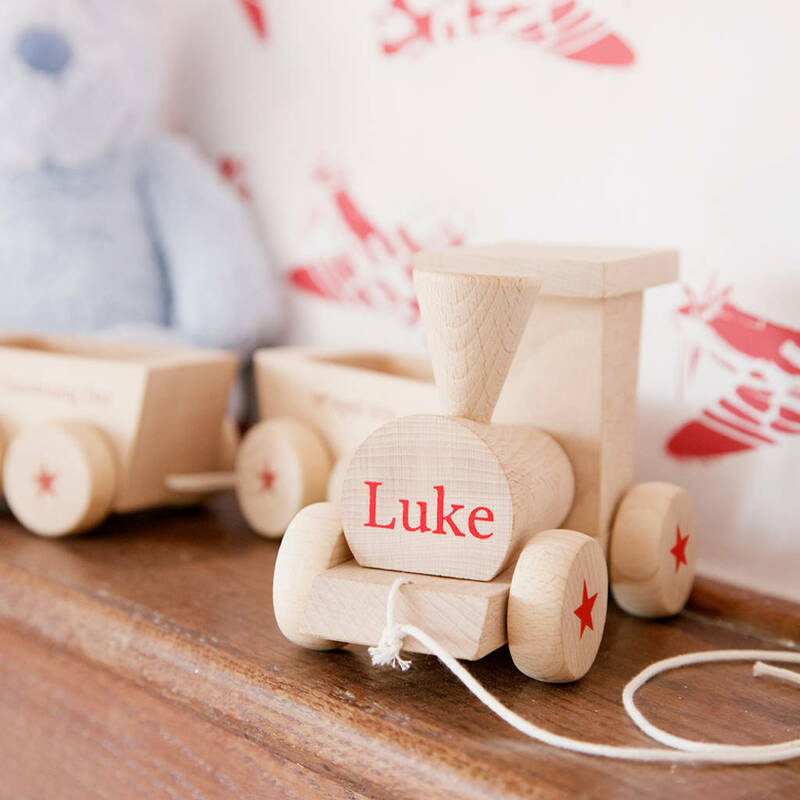 It is painted in a red colour using certified toy safe, non toxic paint. 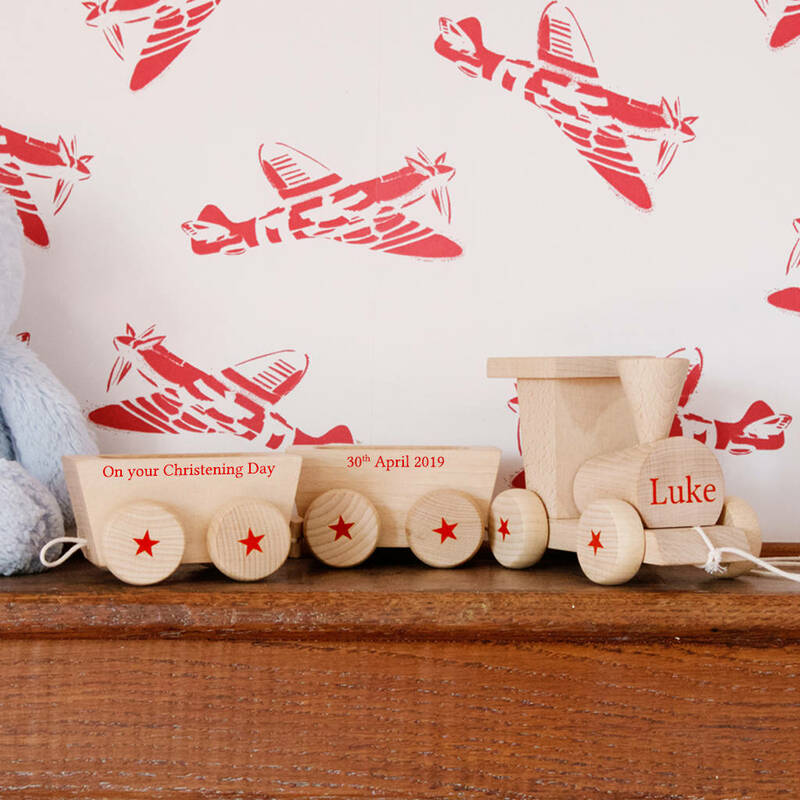 The stars are fixed on the wheels and It has string attached to the front. EU ecological beech wood & string.